The bush is alight near my office on Victory Parade at Toronto. It unfortunately appears to have been deliberately lit. ?? ?? 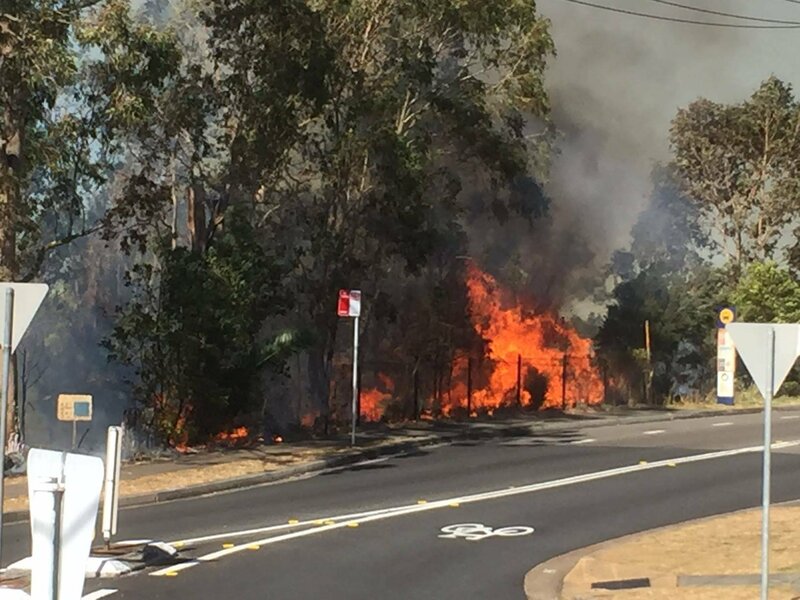 Fire brigades are on the scene now and have it contained, but you might want to avoid the area for a while.